There is no doubt that training and competing place stress on the horse’s digestive system and the aim of those feeding and managing working horses is therefore to find a balance between health and performance. Feeding sympathetically is key and using as much fibre as possible and keeping cereals to a minimum will help to promote a healthy digestive system and reduce the risk of issues such as ulcers and laminitis. 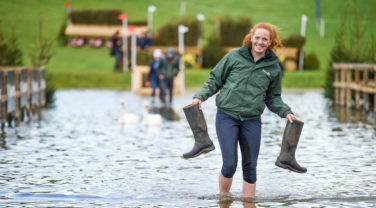 Nutritionists are one element of the team of people that can help you to maximise your horse’s potential so make use of the advice and information that is available to you. 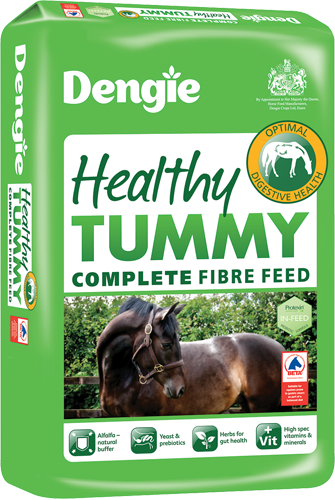 The alfalfa and grass used in Dengie feeds is high temperature dried which means it is a very clean source of fibre. Some so-called performance products contain straw which is sun-dried and contains many more mould spores – not something we would suggest is ideal for maximising respiratory health. Not all fibre is the same – sugar beet and alfalfa are more digestible than straw for example. More digestible fibre sources are broken down more readily in the digestive tract and help to reduce bulk sitting in the digestive tract. Don’t just accept that your horse’s behaviour is just him – a study supported by Dengie and published in the journal Applied Animal Behaviour Science, showed that horses fed a fibre and oil based diet had lower resting heart rates and were less reactive to novel stimuli compared to horses fed the same amount of energy but from cereals. Using fibre as an energy source can produce a calmer more focussed performance. Is it really possible to feed my horse in harder work a fibre only diet? Yes – but you need to choose the right type of fibre! 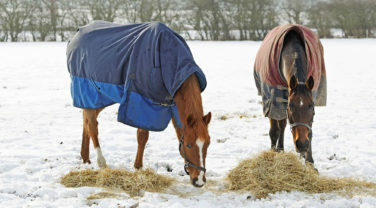 More digestible sources of fibre include high temperature dried alfalfa, high temperature dried grasses and sugar beet and so it is these types of fibre that should be used for horses in harder work. Straw is a less digestible fibre source, very low energy and compared to a high temperature dried fibre not as clean which is significant for respiratory health. Straw is therefore less appropriate as a fibre source for a horse in hard work. 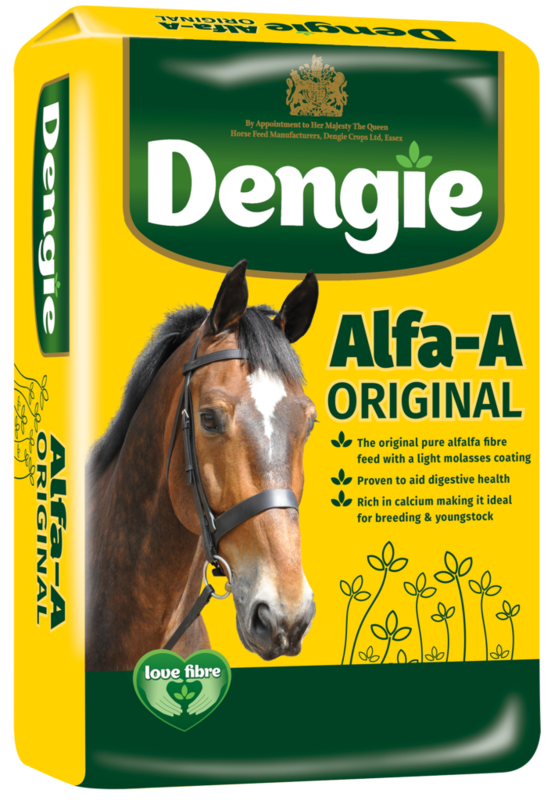 Dengie Alfa-A Oil at 12.5MJ/kg digestible energy provides as much energy as a competition mix or cube, but without the starch. Dengie Alfa-Beet can be added alongside to provide an additional source of highly digestible fibre and the ration balanced by the addition of Performance Vits & Mins or Performance+ Balancer to complete the ration. 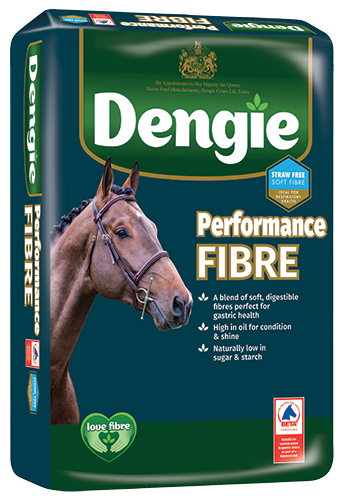 Dengie’s supported riders are proof that a horse in harder work can indeed work on a fibre only ration! I have been told to give my horse a small feed before exercise. Is this safe? Yes – providing it is fibre based. The advice is to give a scoop of chopped fibre within 30 minutes prior to exercise. This recommendation is given to make sure that the fibrous mat within the horse’s stomach is maintained to reduce acid splashing about in the stomach. Acid splash in the squamous or non-glandular lining of the horse’s stomach is linked to gastric ulceration. Ideally this chopped fibre should include alfalfa as research has shown that alfalfa particularly is a superior buffer to acidity within the digestive tract. 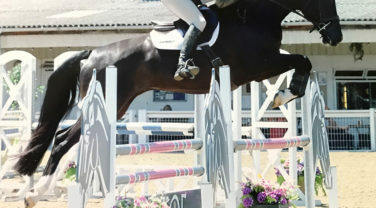 Would Hi-Fi Senior be suitable for my performance horse even though he is not old? Hi-Fi Senior combines chopped high temperature dried grasses and alfalfa with a light molasses and oil coating. Hi-Fi Senior was formulated to be soft and easy to chew for the veteran horse with dental problems, but is in fact suitable for horses of any age. Hi-Fi Senior can be particularly useful for the fussy performance horse as it is softer and naturally sweeter than a pure alfalfa product due to the inclusion of grass. Hi-Fi Senior can also be used to partially or totally replace forage and so is a useful alternative when a horse is fussy with forage or only poor quality forage is available. In addition to this both the alfalfa and grasses in Hi-Fi Senior are high temperature dried producing a very clean source of forage for respiratory health. An alternative to Hi-Fi Senior is Performance Fibre which also combines high temperature dried grasses and alfalfa with a molasses and oil coating as well as added spearmint. 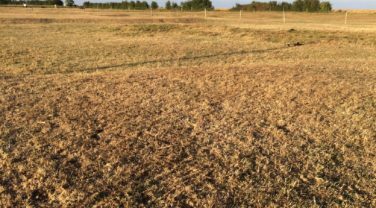 Due to a higher oil level Performance Fibre can only be used as a partial hay replacer. 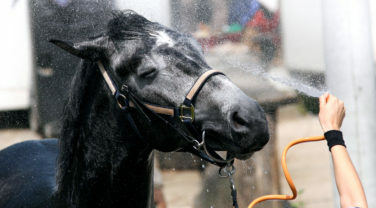 Hot weather combined with the physiological stress of travelling and competing can increase the risk of dehydration in horses which is likely to compromise performance and recovery. Pooh has been on flying form as always! Our first event was rather unfortunate as Pooh was too bold jumping, however after a couple of training sessions we've had three fantastic runs! Dengie is delighted to be able to support the Turnbull family and the Ashton Stud. 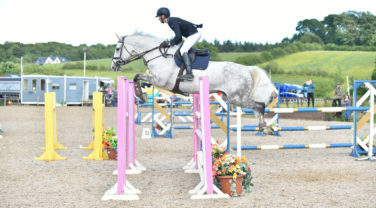 The Scottish-based stud was established in 1989 and is the home of renowned sport horse breeders and producers.